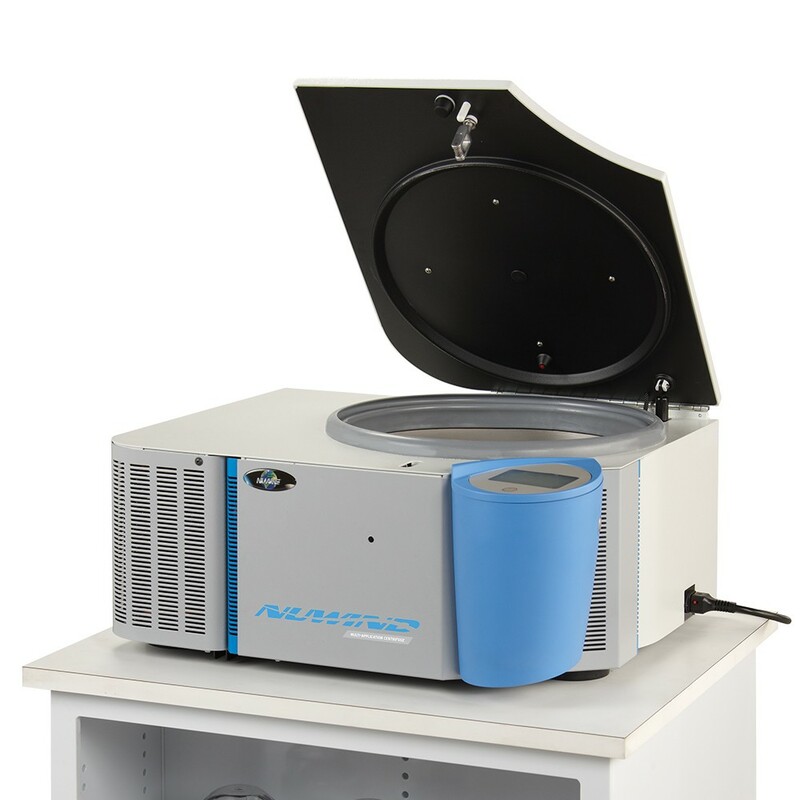 The NuWind™ General Purpose Bench Top 2 Liter Refrigerated Centrifuge is benchtop refrigerated centrifuge that can be used for the separation of substances at different densities that are held in suspension or emulsion in a liquid. It is designed to maximize productivity in the laboratory since it only takes up a minimal amount of space. The NuWind™ centrifuge offers precise temperature control and uses CFC-free refrigerant.